Welcome on the official site of Tattoo Peter Amsterdam since 1955. 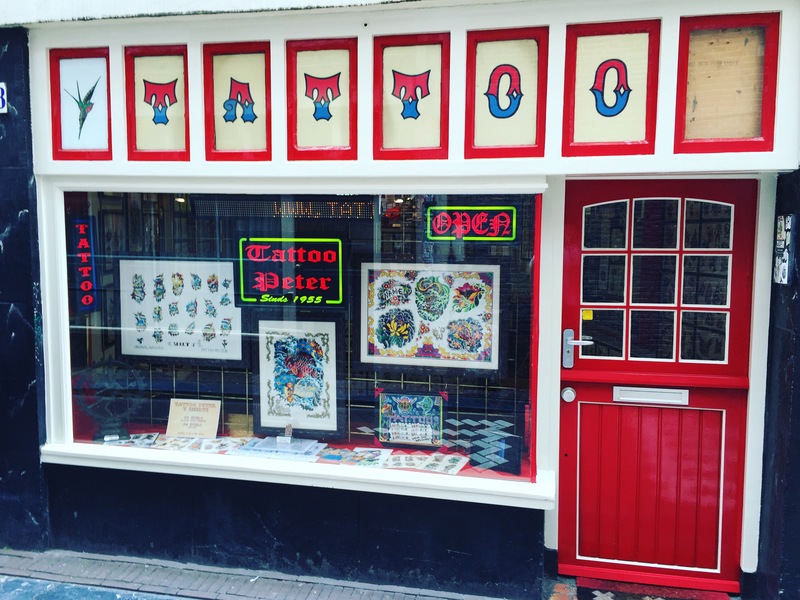 The oldest tattoo shop in the Netherlands. Since 1955 we have been making quality tattoo’s in many different styles. Our professional artists each have their own unique style. So, are you looking for a beautiful old school design or would you rather have a nice Japanese piece? Then you’re at the right address! To see which artist is the best fit for you, just click the “artists” page. There you can read about the artists and see their portfolios. We are located in the center of Amsterdam in the world famous Red Light District. Only a 2 minute walk from Central Station. We are opened everyday from 12:00 till 20:00. Perhaps on sunday, than we are opened from 13:00 till 20:00. You can always walk in for a tattoo. If you want a special time or day (and big design) than it’s necessary to make an appointment. So yes, we accept walk-ins! We hope to see you soon and make your ideas come to life!